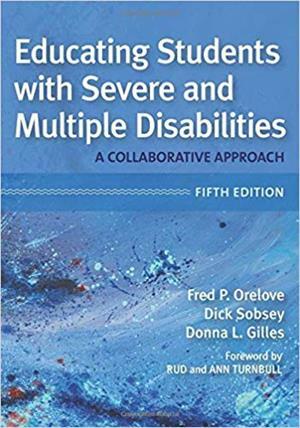 A cornerstone of special education training for 30 years, this is the definitive textbook for preparing educators, counselors, and other related services professionals to teach children with severe and multiple disabilities in inclusive settings. Now in a revised, thoroughly updated, and streamlined fifth edition, this bestselling volume gives current and future educators the research and practical strategies they need to ensure the best learning outcomes for their students. Presenting a team-based, collaborative approach to education, this comprehensive text includes valuable contributions from respected experts in diverse fields, including fresh voices in special education, physical therapy, occupational therapy, communication, counseling, and pediatrics. 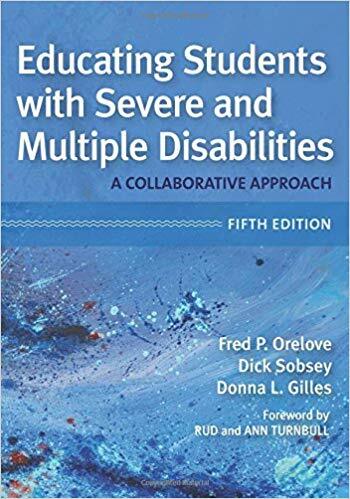 Equally useful for preservice professionals and practicing educators in inclusive classrooms, this highly regarded textbook will fully prepare professionals to meet the educational, emotional, and health care needs of students with severe and multiple disabilities. Before placing your order from outside the U.S., please email Greg Ditch with a list of the items you intend to order. Greg will email you with a quote for shipping costs and instructions for completing your order. Thanks!